Lions being fed at Orana Park. Christchurch Star Archive. In copyright. CCL-StarP-00395A. 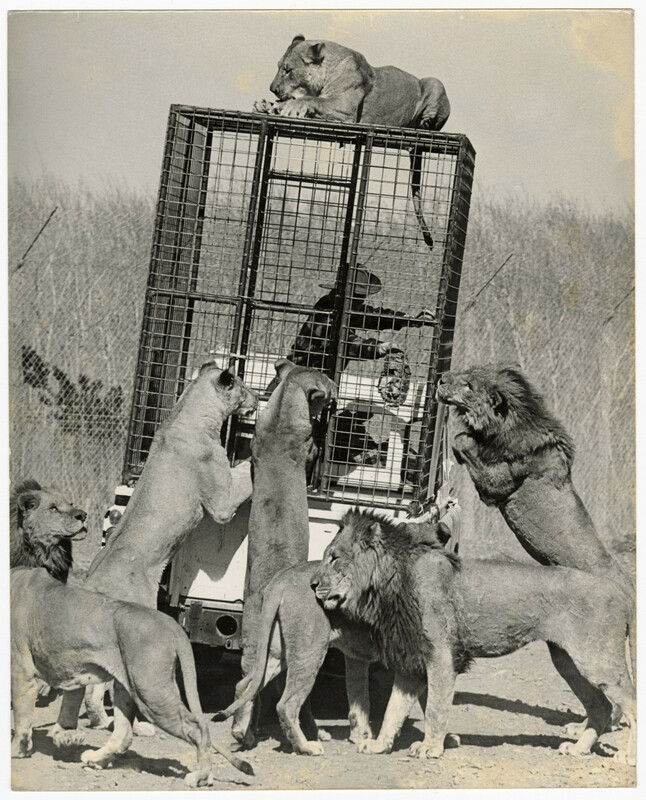 Director of Orana Park, Mr Paul Garland, in a cage on the back of a truck feeding meat to the lions at the park who surround him. 24 September 1976. Do you have any photographs of Orana Wildlife Park? If so, feel free to contribute to our collection.